I’m done talking about Algebra. My life is bigger than the sum of my math struggles, which really aren’t that difficult. I’m just a big complainer. The neural connections formed, and I’m good now. The first exam was a breeze, and I will no longer obsess about it or bore my readers with it! I had an epiphany from the most unlikely source tonight, and it made me realize that these prerequisites (like Algebra) are trivial. They aren’t obstacles to knock down or even jump over. They’re cracks in a sidewalk. They’re frost on a branch that will melt with the next season. Five years ago, I had a plan for my life. The next 60 years were mapped out. Then, a chance meeting on an airplane turned that life upside down. And it’s okay! I didn’t have to let go of my plan, but I did. And now, in my 30’s I’m back in school working on something else. I know some of you now have some questions…and in time, I’ll probably blog more about the details of the last few sentences. I’m just happy to be where I am and making the journey with some amazing people. Heather, I think that one day that “change encounter” will be its own blog post. I have always felt that God puts people in our path for a reason. 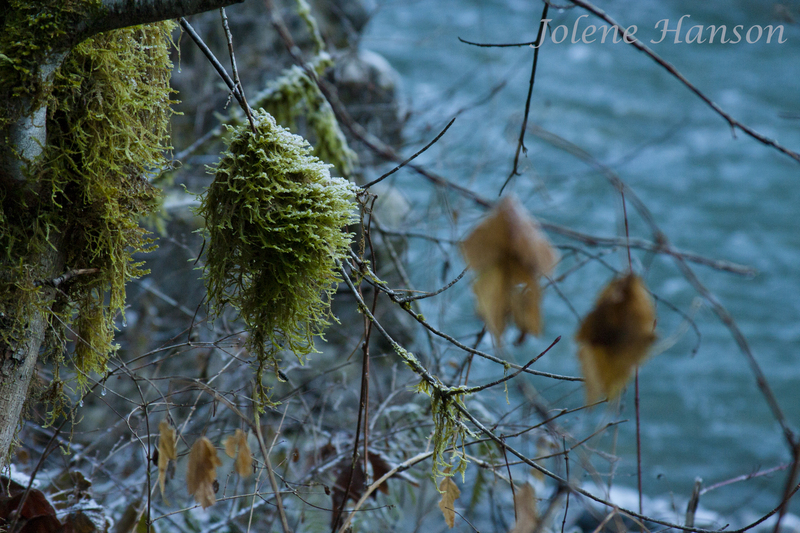 Great shot Jolene, love the bits of hanging moss and then leave leading your eye through the frame. And as for your last paragraph re: life plans, just remember – Life is what happens while we’re making other plans. I find that life is about 20% what we control and 80% what happens to us. We just have to roll with the punches. Really liking the colours here Jolene…as I have said in the past, it’s interesting the things we “now see” after being behind the shutter for awhile. 😀 Oh, and I knew you would ace that silly math exam! I love the colours in this shot. I didn’t say anything while you were studying for your exam, but in 5 years time (or even less it seems – Jolene put down that bottle of wine! ;-)) you’re not going to remember how stressed out you were about it. Because unless you become a Mathematician, it’s not going to be a conscious part of your day. I’m relieved this will never be a part of my day. It’s not terrible, but I have no passion for it. Got an A on that first exam, by the way! !